Nonprofit planners call for faster Gateway Project funding, but is Washington listening? The Gateway Project's delay can have a dreadful impact on commuters and home values, the RPA says. Commuters and homeowners in the New York metropolitan area are facing the possibility of a preventable crisis, according to the Regional Plan Association (RPA), a nonprofit planning organization that operates in the New York metropolitan area. The North River train tunnel might have to shut down well before the completion of the parallel Gateway project train tunnel if that new project keeps getting delayed. According to state legislators, the North River Tunnel affects 20 percent of the nation’s GDP, and Amtrak officials estimate that the tunnel has five years before repairs must be made. The North River tunnel is the only train route connecting New Jersey to New York across the Hudson River. The 110-year-old structure was severely flooded and damaged in the wake of Hurricane Sandy in 2012. The new Gateway tunnel would allow repairs to be made on the North River tunnel without placing a significant burden on 200,000 commuters who access it daily. To repair the tunnel, one of two tubes needs to be shut down at a time, meaning that all trains to and from the city will be sharing one track. This will reduce the amount of hourly Hudson River crossings for NJ Transit and Amtrak trains from 24 to six. The Gateway Project will cost roughly $13 billion. Under the Obama administration, a commitment was made for the United States Department of Transportation to foot half of the bill, but that arrangement was scrapped by President Donald Trump, disabling the project before groundbreaking. While the project remains in a state of limbo, RPA’s report made some grim projections on the economic and human costs to bear if the North River Tunnel is shut down before the Gateway project is complete. The projected economic decline in RPA’s report will be significant for home and business owners in Hudson County and beyond, regardless of their need to commute across the Hudson River. A day after the RPA report was made, Representatives Josh Gottheimer (NJ-05) and Peter King (NY-02) announced they are sponsoring a bill that would demand a contingency plan from the Secretary of Transportation in the event that the tunnel shuts down. RPA used data sourced from Amtrak, NJ Transit, and the Port Authority of New York and New Jersey to determine that, in sum, the projected burden to the economy of a shutdown before the Gateway tunnel is ready would be $16 billion. More than half of those losses will come as a result of lost work hours due to delayed commutes. The 38,000 displaced daily North River rail tunnel commuters would burden other transportation links with longer commute times, wear and tear on roads and infrastructure, disruptions in other transit links, and delays in emergency response vehicles. According to the report, daily commutes in the region can be lengthened anywhere from several minutes to an hour. They state that 245,000 drivers will have an extension of about 10 minutes. 135-140,000 will see commutes increase by about 30 minutes. Some 100,000 daily commutes will be extended by over an hour. Those commute delays will eat about $9 billion in lost wages for the four years the project is expected to last. In short, there will be a spike in lateness, absenteeism, and turnover within the region’s workforce as a result of these commute changes. Using a “commonly accepted methodology,” RPA determined that there will be 80-90 additional fatalities and 9,000 injuries as a result of increased auto accidents from the extra congestion on highways. 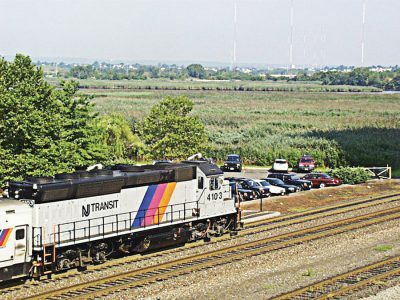 The RPA projects that property values in the region will see a net decline of about $22 billion, due to the fact that values of property in New Jersey are highly contingent on ARC and NJ Transit service reliability. About 40 percent of homes in New Jersey are within two miles of a train station. The report states that the average home in the region will see a $13-14,000 loss in value in the event of a pre-Gateway shutdown. On the whole, Hudson County is projected to lose $84.3 million in property value. This signifies a 4 percent dip in state-wide property tax revenues which fund schools and other public services. Thousands of passengers from Washington, D.C. and Baltimore use the North River tunnel by means of traveling on the Northeast Corridor rail line. Because of a shutdown, some are expected to take the option of flying instead. Due to crowding airports, this will raise the costs of airfare to New York City from Baltimore 110 percent, and from Washington, D.C., 65 percent, according to RPA projections.